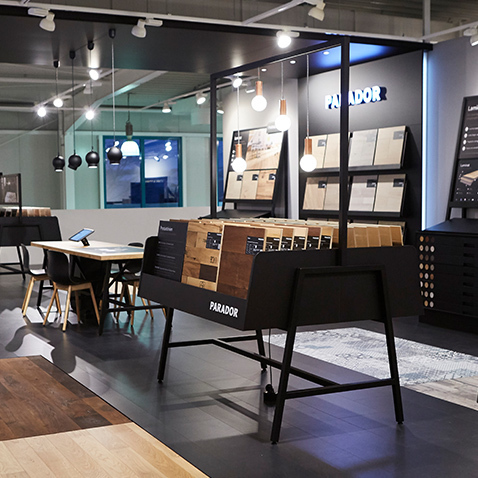 For the flooring manufacturer Parador, we developed a digital POS application that fits seamlessly into the new by Preussisch Portugal developed shop-in-shop concept for retailers worldwide. 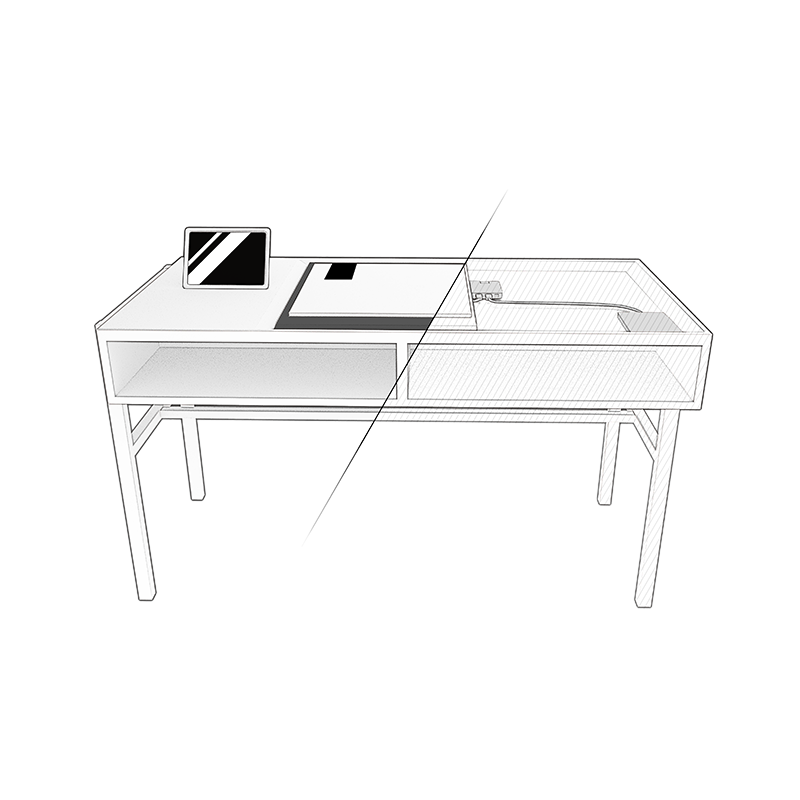 Using RFID technology, sample boards are recognized by a "smart table" and the floors can be experienced virtually. When purchasing a floor, customers ask themselves many decisions: what material should the floor consist of, what color should it have and what does the floor look like after it has been laid? 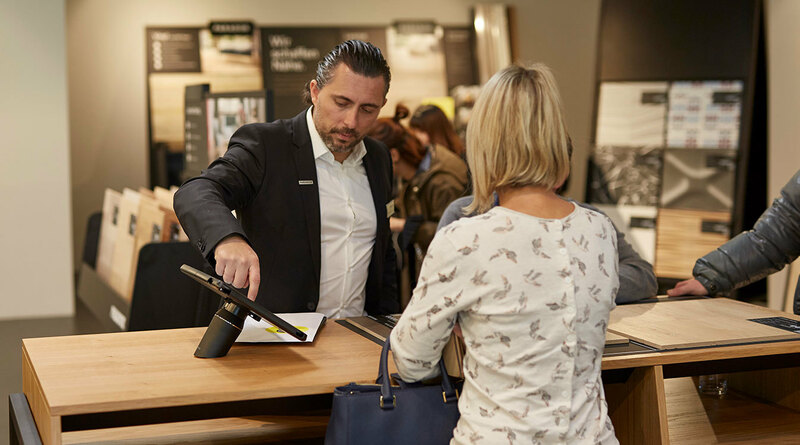 Our POS application developed for Parador supports dealers and consumers in the consultation and purchasing process. 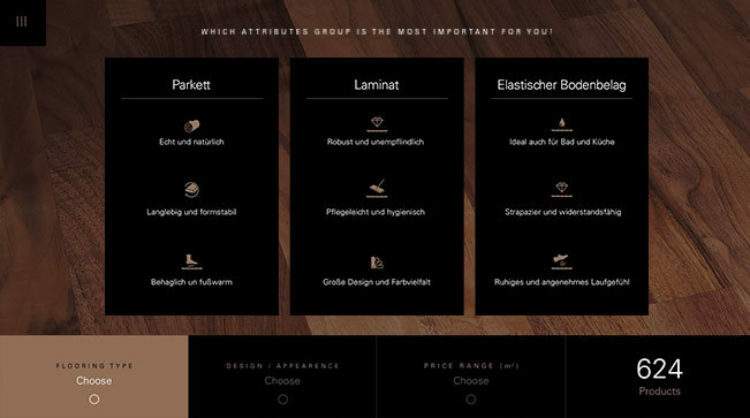 The digital application integrates seamlessly in the new shop-in-shop concept that was created by Preussisch Portugal. By placing a floor pattern, the interested shopper can view the floors in different environments, learn about product features, and compare products. In addition, the required amount of packages can be calculated and product samples can be ordered. 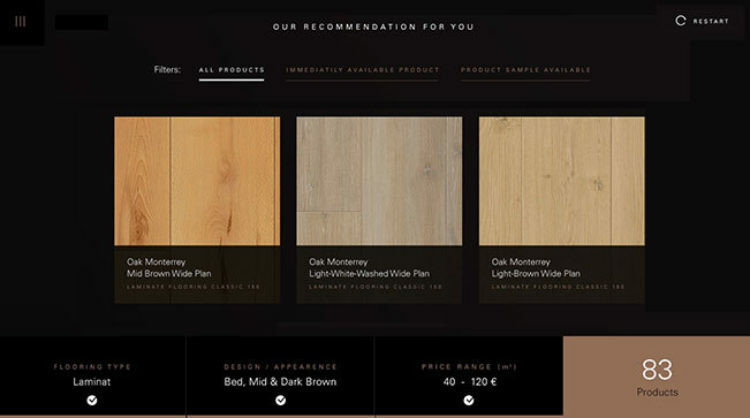 Floors marked as favorites can be exported to the mobile phone so that the user at home knows which of the 460 Parador floors he or she liked best. 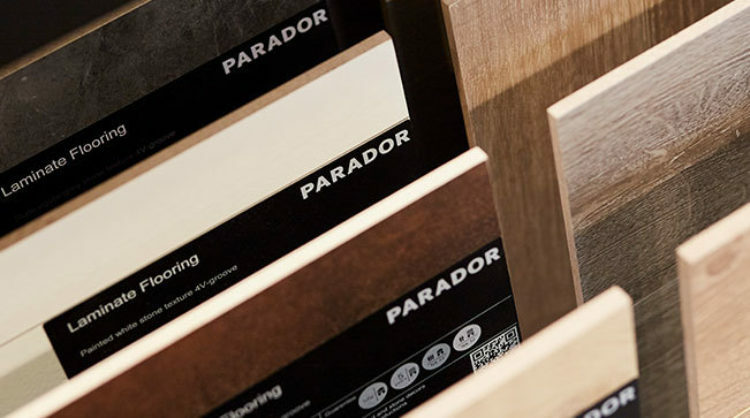 In addition to the placement of samples, the application offers two alternative entrances: The customer can use the product search or can filter the product range of Parador according to his or her needs with the help of a floor consultant. 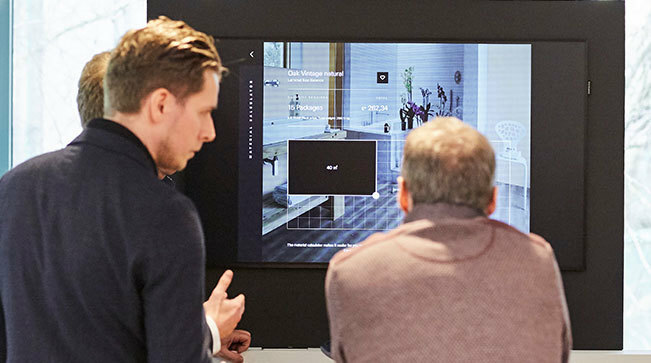 By using RFID technology, we create a link between the physical product samples and the interactive information desk. Hidden RFID tags in the product sample labels enable a clear identification of the products. Two RFID readers and a Raspberry Pi 3 are installed in the table. 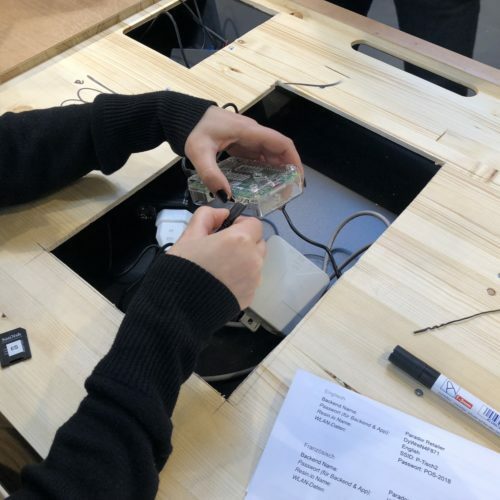 By reading the RFID tag, we get the article number and compare it with the existing product database, which allows the pattern placed on the table to be recognized by the application and displayed on the iPad. 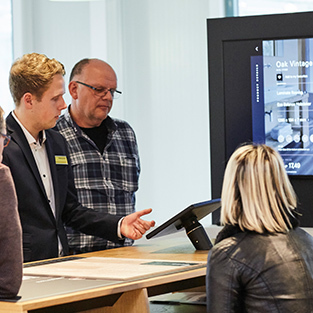 The POS application offers many advantages for retailers, including a backend system allowing the application and the products shown to be tailored to the retailer's product range. Thus, in addition to stationary products, the dealer can offer the customer further Parador products and expand his consulting options. In addition, the application connects to Parador's product database, which keeps the current product data in sync. Thus, price changes or new products can be used directly in the app. 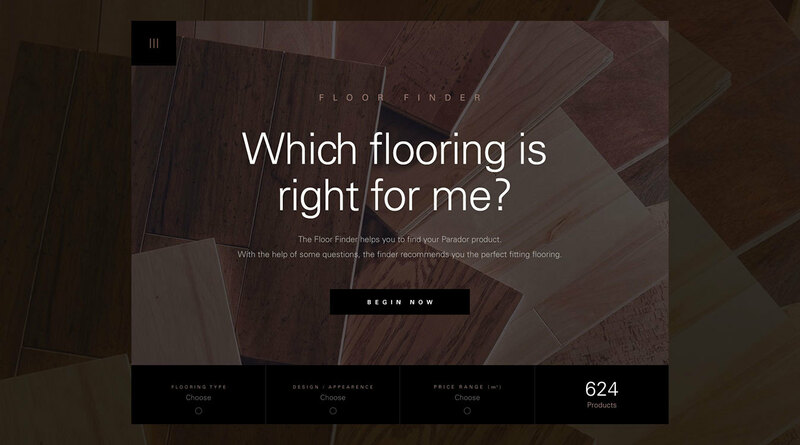 Since buying a floor usually involves a longer decision-making process, users can easily remember their favorite products and take them home as favorites. For this purpose, we use a personalized landing page, which the user can transfer to his or her smartphone using a QR code or number code. This landing page contains the favored products including the desired quantity and price, as well as a direct contact to the stationary dealer. Based on the corporate identity of Parador, we have developed a reduced interface design. The combination of black surfaces and straight lines corresponds to the general design language of Parador while the Vertical lines were taking inspiration from the grain of the wood surfaces. 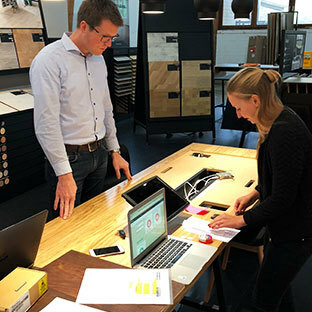 The table is now available as part of the new Parador Studio Concept at dealerships in Singapore, Cairo, France, Belgium, Sweden, Germany, Denmark, Spain, India, Austria, The Netherlands and Great Britain.